Welcome to this beautiful custom home in the fabulous subdivision of Rock Springs! You'll love the eat-in kitchen with gas cooktop, lots of cabinets and center island--all open to the great room with fireplace. Bonus....there's also a formal dining room! Right off the 2-car garage you'll find convenient cubbies for storage. The gorgeous owner's suite has a spacious private bath with tub, shower, double-bowl vanity and a large walk-in closet. Three additional bedrooms complete this home, along with a covered back patio. Don't miss out on this wonderful home under $500K! SchoolsClick map icons below to view information for schools near 5211 Rock Bluff Dr Louisville, KY 40241. Real estate listing at 5211 Rock Bluff Dr Louisville, KY 40241. 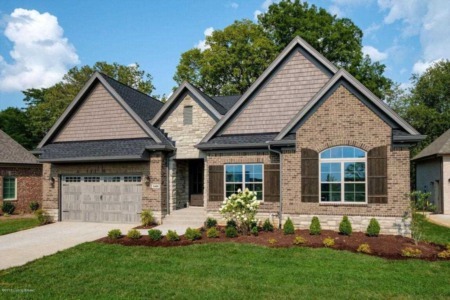 Description: The real estate listing at 5211 Rock Bluff Dr Louisville, KY 40241 with the MLS# 1504838 is currently listed for $499,900 and has been on the Louisville market for 326 days. 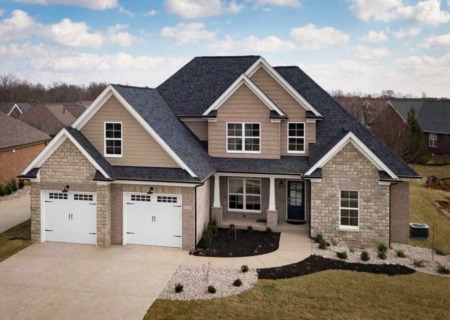 You are viewing the GLAR MLS property details of the real estate listing at 5211 Rock Bluff Dr Louisville, KY 40241, which is located in the Rock Springs neighborhood, includes 4 bedrooms and 3 bathrooms, and has approximately 2500 sq.ft. of living area.